All That Twitters Is Gold: Did Social Media Kill The Blogging Star? Let us have a discussion. In recent times, I’ve noticed many changes in the blogging world, and there’s one in particular that has been getting some attention lately: social media. Instagram and Twitter have been around for a while, and lately I’ve seen more and more bloggers use SnapChat as well as a way to interact with their readers. I’m all about that, but … . I’ve been around here for 13 years. In those 13 years I went from webpage construction to blogging and lived through the high days of MySpace, the up-rise of Facebook and the announcement of Twitter. I remember buying an iOS device in early 2012 solely to be able to use Instagram. Social media were new and exciting. I liked and tweeted my heart away and while doing so felt like I got so much closer to you than I could through my blog. But the bubble burst, didn’t it? Blogs are cumbersome compared to social media. On their blogs, bloggers have the space to share a story in more than 140 characters and to embellish it with more than one picture. Leaving a comment on blogs can be tricky – Captchas are so 2000-and-late, people – and to hop from one blog to another you have to go through your reader or memorize the internet addresses. Reading blogs takes effort and time, two obstacles social media successfully gets around. Instagram can do what a blog can’t: show you an #OOTD in one glance and with compact descriptions. Twitter forces us to think about our information-sharing: what is the most essential about the message we want to bring? Sometimes all it takes is an Emoji. Hashtags are easier to understand and apply than SEO for blogs and give instant-results. Following bloggers and other creatives has been made a lot easier by social media too, as is commenting and interacting in general. We used to describe social media as an extension of our blogs, but I’m starting to feel as if it has become a replacement of it. Social media does it better and recently it’s been doing it bigger too. Bloggers got some serious competition from social media influencers. People with not just large Instagram and/or twitter followings, but the right network to boot. They seem to me a technologically advanced sub-group of bloggers. Micro-bloggers, if you will. It takes a hell of a lot of knowledge and time to build up your social media presence, but the influencers have mastered the art of online impression management like no other and it’s paying off! More and more influencers are landing on press lists and press events, and bloggers are doing so less and less. I can’t help but wonder, and I know that this is a pretty mean thought to share publicly, how many blogs will still be written if this trend keeps growing. Blogs haven’t necessarily lost their advantages. The advantages of blogs are just seemingly losing their relevance in a time where “fast, faster, fastest” and “more, more, more” are the motto when it comes to information-sharing. As marketing mediums blogs might not be relevant for much longer, but to me they still are the best way to share a story. No matter how many unfiltered videos I’d share through SnapChat or how many #iwokeuplikethis kind of pictures I post to Instagram, I don’t think I could ever get a story across so genuine and vividly as I can through my blog. Or maybe I’m just old school. What are your thoughts and feelings about this? I personally am seriously lagging behind when it comes to my social media outlets. I actually recently stopped tweeting in English and deleted my SnapChat account to downsize my online presence. My Instagram is a happy mess and I don’t even have a Facebook page for my blog. I kind of feel like an outsider looking in, yet I’m caught up in the transition. Do you think you could give up blogging entirely and ride on social media? Or do you, like me, blog because social media can’t fully satisfy your needs? Do you care? I am a woman of too many words to give up blogging and studies are showing that there’s a revived interest in long form journalism, so I don’t think people are giving up blogs. But I do think I have to keep on top of social media posting or none of them will find me. It’s a hassle, but the ease of interconnectedness is also kind of cool. We’ll see what happen, but I think I’ll always be writing whether or not people read. The struggle with social media is real. I only share my outfit posts through Instagram, but will always send a link to my latest post out on Twitter. It helps, but I still draw most traffic from sites like Bloglovin. Also: I write waaaaay to long blog post too, haha. I’m not so much into marketing my blog with social media, and I’m not sure how I feel about trying to. 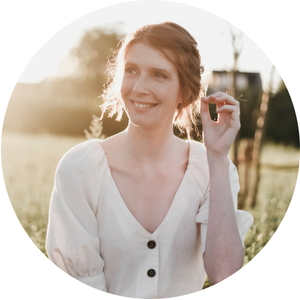 I blog because it brings me satisfaction, and I love meeting new people online through real connection, not just because I like their Insta photos. 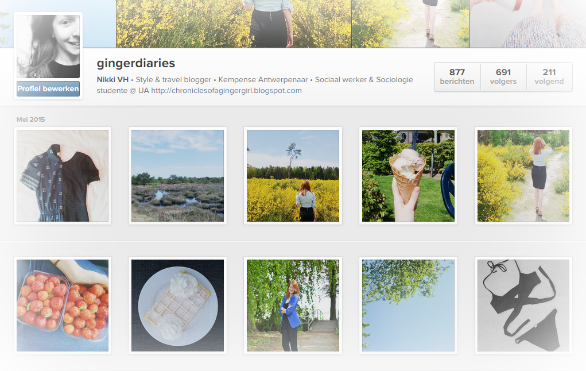 As for trying to remember everyone’s URLs, I’ve succumbed to Bloglovin and finally actually like it. (I fought it for a while, but it really is a great way to organize.) I follow far to many blogs to keep up with any other way at this point. Interesting topic, Nikki. I was actually just thinking about this the other day when I noticed a shift in how I myself read blogs as of late. I used to go to Bloglovin’, poke around, and check out my favorites. But now I find that I mainly scroll through Instagram, only clicking on the blog link if I really like the blogger or outfit. What I don’t like about this is that it’s causing bloggers to use their social media platforms as a mini-blog, which takes away from some of the candid moments we used to get more of. It seems like everyone’s page is a mini-version of their blogs, perfectly curated and seamless… and I never thought I’d say this, but some days I miss the photos of meals and cats. I am guilty of this as well, because I feel like my IG account is sometimes my only option to share my crafts/thrift finds/recipes/whatever… but then it feels like we’re veering away from sharing more the day to day snippets that aren’t perfect or edited. Thank you for your comment Megan! First off: I’ve missed you around here, haha. Second: I loved reading your opinion. Social media started out as a place where bloggers shared the non-curated stuff and I too miss that time. It evolved so quickly and I feel like it’s hard to keep up now. Sometimes Instagram makes me feel bad because no matter how much I would like to and try, I cannot get the amazing cohesive profile so many bloggers are showing off these days. Heel interessante post, zeker eentje om bij na te denken. Ik denk dat je gelijk hebt dat online influencers belangrijker zijn geworden dan bloggers. Ik merk het op alle social media kanalen wel op. Spijtig, want bloggers steken net zo veel tijd in hun posts om hun verhaal te delen. Wat ook veel interessanter is dan een korte post of foto. Hoewel ik de tijd neem om blogposts van mijn favoriete bloggers te lezen, merk ik zelf ook de andere kant op. Ik ben dol op IG en één van de redenen daarvoor is dat ik veel zie/verwerk op korte tijd. Het is net omdat je aan een blog kan zien dat er veel meer werk achter zit dat ik ze zo fijn vind om te lezen. Ze geven je een beetje het gevoel dat je mee in iemands wereld kan kijken en dat doet me zoveel meer plezier dan een instagrampagina! Because my blog is new, a lot of my traffic comes from twitter – even though my following isn’t big. I think it’s important to still have blogs. You’re right – perhaps they aren’t the quickest way to communicate information, or the most convenient communication tool, but it’s so important for blogs to still exist. People are still interested in the bigger story. Maybe not as many, but there are still some. It’s about creating a relationship and blogs can do that more than instagram or other social media. You’ve made some excellent points in this post. When I first started blogging, I didn’t even have a personal Instagram or Twitter account. I quickly learned that they are crucial to blogging. I now use them daily, mainly for blog advertising and exposure basically. I only use Twitter to share my IG posts. I feel like IG is an easier platform to share outfits on and it would be SO much less work than a blog. I feel like you can’t get as personal on IG though which is where having a blog would trump that. I’m hoping that blogging doesn’t slow down anytime soon. I think blogs will always be around, even if the format changes a bit. I definitely agree that Instagram, twitter etc. seem to me very much like a microblog, in a way. I think it also makes a certain amount of sense for an advertiser to see it that way, and therefore, can see why, if you are blogging or social media-ing (not sure what verb should apply here, but you get the drift), those outlets might seem appealing. They have a massive audience. And I definitely love Instagram (the others too, but I notice I enjoy IG most). But what I get from it versus blogs is different. I like social media for a quick peek into someone else’s life or views or something inspiring and/or pretty. I like blogs for the people and stories. I mean, yes, pretty outfits, but also the people in them. As you said, with social media you are very limited to what you can say or how you can respond to a post, so I think that limits how much I can know of a person. So, I think there is a place for both. Interessant artikel, gisteren stond er ook iets gelijkaardigs op the Man Repeller. Soms vind ik dat er te veel social media kanalen zijn en te weinig tijd. Ik steek mijn tijd vooral in Instagram en Snap soms als er iets grappigs gebeurd. Twitter gebruik ik weinig. Ik vind blogs leuk omdat je de persoon zo wat beter leert kennen, aan de andere kant kan ik ook genieten van een instagram account met mooie foto’s. This is such a good post Nikki – and very timely too! I’ve actually been thinking a lot about this lately. I’m finding it easier to connect and make friendships over instagram than blogging….blogging some days seems like a lot more effort than I want to expend, where instagram is never a chore. But then there are days I’m grateful I have the blog…so I don’t know. Don’t know what the answer is, just something I’ve been thinking about – more than I can summarise in a comment box! I blog to get ideas/inspiration from others and feedback into what I’m wearing to try and use more of my wardrobe and feel put-together each day. Instagram is perfect for that. Blogs seem to be lately more and more ‘cute, check out my 100 links’ type comments with no substance, and blogs with no substance (yours excluded of course!) It’s a changing landscape for sure. I’m definitely with you in the doubting-zone. Both have their plus-sides and I feel like none can exclude the other. I want them both! And what you say about the comments is very true too. I have an awful lot of spam comments in every posts, but I’m kind of having the same problem on Instagram. The ghost-followers are almost uncountable! I don’t use social media to market my blog at all because barely anyone in my real life knows about my almost-3-year-old blog. But I do use it to follow friends and bloggers alike. I also follow bloggers on Insta whose blogs I don’t read at all. I get a lot of interaction on my Instagram (not just on OOTD pics) compared to the blog and have been pondering lately whether I want to keep going with the blog. It’s so much easier for people to “like” and comment on Instagram it feels like it makes the blogs redundant which is a shame as I’ve met some lovely people via blogging and I still follow a lot of blogs myself when I have time. Maybe I’m just feeling a bit grumpy and next week will be back to loving blogging agan! Great post anyway, exactly what I’ve been thinking of late. Just about the first part of your reaction: apart from a few of my friends, no one knew I was blogging either. Then without my knowledge, Instagram changed it’s user terms and connected to my personal Facebook and a lot of my friends and family suddenly started following me. I was embarrassed about my blog, but their responses were mostly positive and supportive so PHEW. The dangers of social media! The interaction on my social media channels is rather low, so I’ve never doubted which direction I’d go. I’ve been blogging for so long and I feel like I can keep going forever, but we all go through grumpy phases where we feel like giving up. I do follow most blogs that I read on Insta and Twitter too, but will still read the blog itself too, because I like to read stories and such. I have so many thoughts I don’t even know where to start. This was a great and thought provoking post. Goh soms zou ik echt enkel nog mijn instagram willen houden zelfs! Haha, maar de jouwe doet het dan ook super goed! Keep that up! Really interesting post. I’m for sure not a fan of social media. I have a Twitter account but almost never use it and, like you, no Facebook page for my blog. I like instagram a lot, but my personal account lately as been monopolized by my puppy dog so it’s kinda like I don’t have it anymore. Thinking about it, I don’t use social media much, nor for sharing my thoughts nor for being in touch or follow others. Maybe I’m old fashion too. I will always prefer offline contact over online contact as a way to keep up with my friends. Social Media I only use for blog-purposes and even for that I’ve definitely been downsizing! I too like to share my thoughts in a lengthy blog post rather than through a 140 character sentence or a insta-photo. You shoudn’t, cause like you said: us Nikki’s have to stick together! Soms lijkt het echt wel zo hé. Die social media, je moet er toch echt goed in zijn om er veel uit te halen. Maar ergens voel ik me ‘veiliger’ op mijn blog dan op social media. Ik denk veel te vaak dat ik aan het spammen ben op Instagram en dergelijke en dat mensen dat dan irritant gaan vinden. Ik vind het ook vreselijk als ik mij er op betrap dat ik mij zorgen maak over het verliezen van een follower. Dit gezegd zijnde, ik vind social media leuk als aanvulling en als quick sharing medium. Maar ik vergeet vaak op de leuke momenten mijn telefoon boven te halen, daarnaast heb ik ook gewoon geen zin om een (poging tot) gestileerde foto te maken, zo ben ik dan wel weer. I have noticed this trend as well. For a lot of people.. both the consumers and the producers of content, it’s just easier to look at one single photo with a couple of words and/or hashtags. Or looking at a 1 minute video clip instead of a vlog/GRWM of 10 minutes. My thoughts are not really well-formed at the moment. I think it all depends on what your goals are with your blog/social media/YouTube-videos. Do you want to become famous and popular enough that you can live off it? Get invited to the all the cool events? Then you have to be really smart about it and use social media to its fullest. Because it is powerful and it does work. Do you mainly want to have fun and contribute to the world with your thoughts/ideas (whether it’s fashion, style, shoes or quantum physics :P)? Then I’d just use social media for fun little things.. and the blog for the main things. I love when people ramble on, haha. Don’t apologize for that! Ik heb nog maar sinds een jaar een smart phone, en dus instagram en twitter, en ik ben echt verbaasd over de wereld die er open gegaan is! Ik heb echt het gevoel van “hier zat dus iedereen de afgelopen jaren, terwijl ik enkel aan het bloggen was”. Ik merk dat ik bij veel blogs zelf ook wel kies om enkel nog de instagram account te volgen, omdat er gewoon zo veel te zien is op het net en zo weinig tijd. Maar degenen waar ik echt fan van ben… die blijf ik toch wel op hun blog bezoeken. Snapchat begin ik trouwens niet aan, ik gebruik het enkel persoonlijk en snap de hele hype niet zo. Langs de andere kant, vaak merk je dat mensen niet echt lezen wat je te vertellen hebt in een artikel. Jammer, want we steken er toch wel veel tijd in, we proberen grappig te zijn, emotie over te brengen, informatief, whatever. Misschien zijn de meeste onder ons te veel ge-socialized en zijn wat te lui geworden om meer dan 140 karakters te lezen? Dat niet lezen van je artikel herken ik zeker, maar op social media gaat het net hetzelfde denk ik. Mensen klikken meestal simpelweg op de like-button en ook al kost een insta-foto of tweet veel minder moeite dan een hele blogpost, interactie komt er eigenlijk weinig (bij mij toch). This post is so so so true! I’ve felt this for a while now, but didn’t really know it until you wrote the words that I’d been thinking! There are a ton of micro-bloggers that are just on Instagram or just on Twitter that are super popular, especially bookstagrammers. It makes me feel like I can’t keep up, but I’ve been trying to be more zen about blogging lately.